Barnsley College’s new look restaurant, The Open Kitchen, has been officially launched at a special opening ceremony. 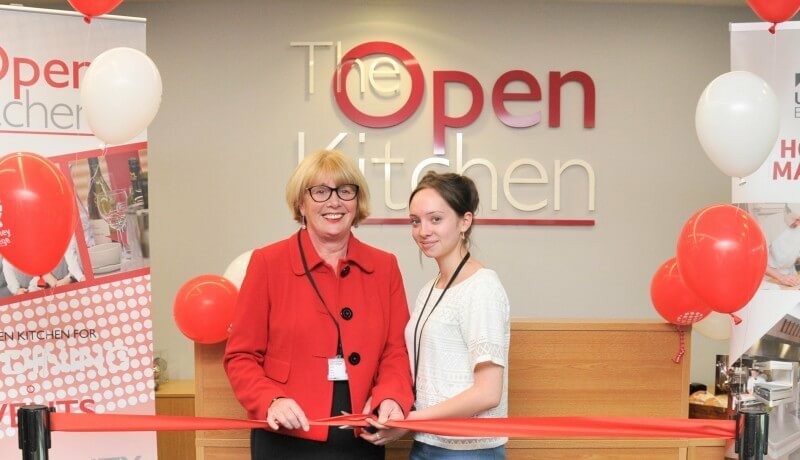 The event saw Chair of Governors Josie Thirkell and Niketa Dodson, the Graphic Design student from the college who designed the Open Kitchen logo, perform the official ribbon cutting duty in front of representatives from suppliers to the restaurant, regular customers and college management. The Open Kitchen restaurant offers a training environment for students studying catering and hospitality courses. Expert tutors prepare the students to work as chefs or in a variety of positions within the hospitality industry. The restaurant is open to the public and holds a range of special themed events throughout the year. 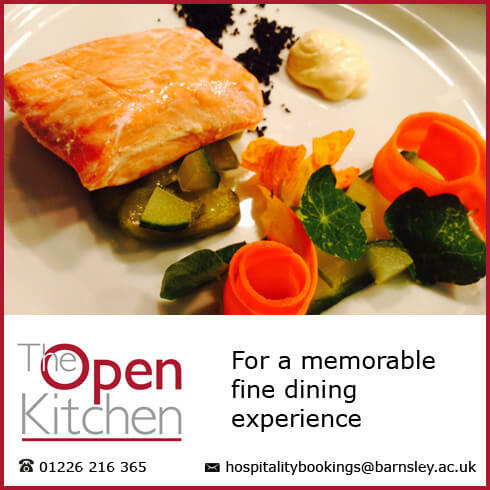 It’s not too late to apply to study Catering and Hospitality at Barnsley College. To find out more, call our Information Team on 01226 216 123, email info@barnsley.ac.uk or visit our next Open Day on Saturday 14 November (11.00am-2.00pm).